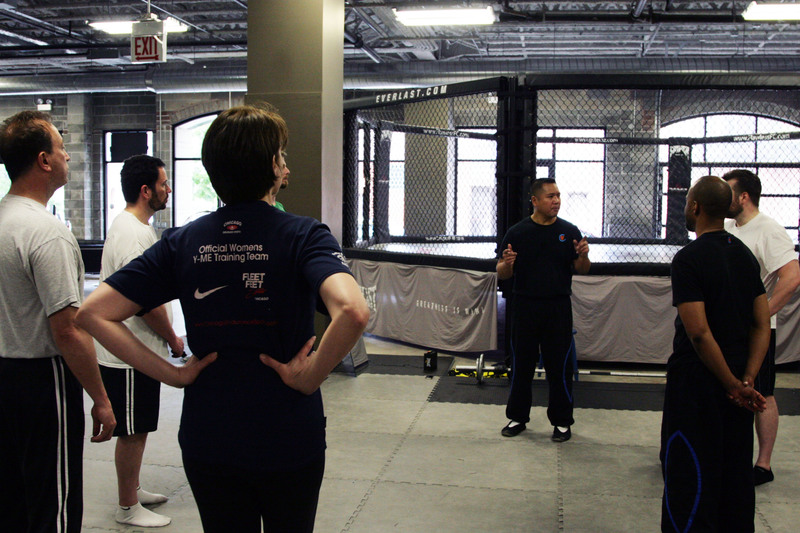 We had five people participate in the “Focus Group” class on Saturday 18May2013. 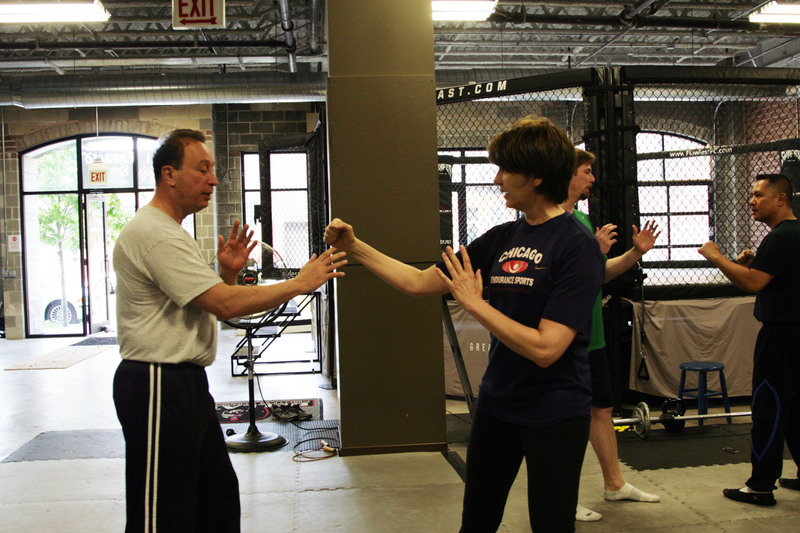 The participants had varying Wing Chun/Wing Tsun experience, ranging from absolutely none to several years. 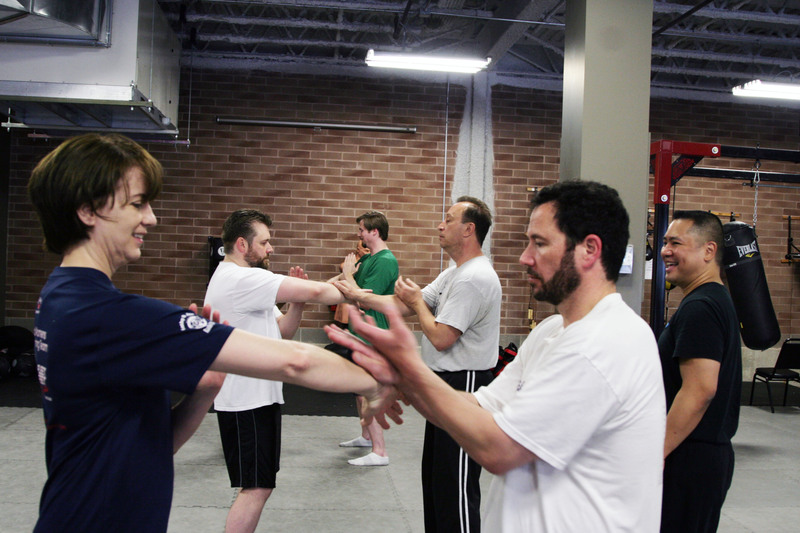 SiFu Ray started the class by welcoming everybody and going through all of the activities that we will be doing during the 1.5 hour class. 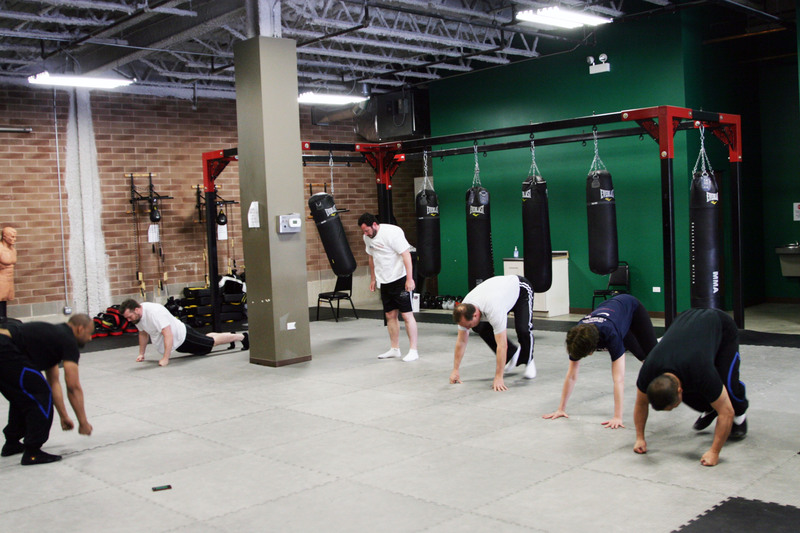 Si-Hing Dave then led the class through warm-up exercises that included jogging, burpees, squats, push-ups, crunches, and plyometrics. After getting our heart rate up, SiFu Ray instructed the class on the Siu Nim Tao form. SiFu Ray, Si-Hing Dave and Si-Hing Allan assisted the students as they performed each movement of the form, making sure that every point was clear. 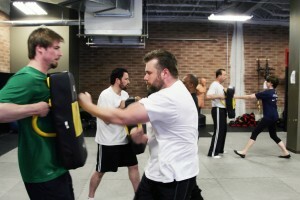 To get our blood pumping again, Si-Hing Dave had the class work on several Step and Punch drills. 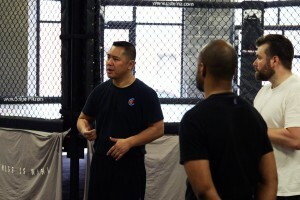 SiFu Ray then instructed the class on how to properly perform the movements of the Lap Sau cycle. Afterwards, SiFu Ray showed one sensitivity drill using the Lap Sau cycle wherein one person actively performs a movement that will cause the other person to respond with an appropriate action. Si-Hing Dave then showed the class how to use the Lap Da movement against an Attacker. 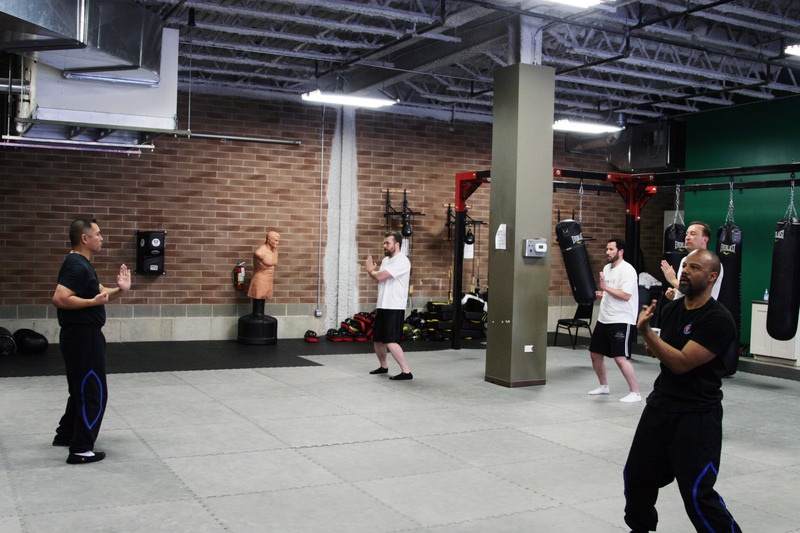 Si-Hing Allan worked with everybody on several one minute rounds of pad drills using the step and punch movements trained earlier in class. 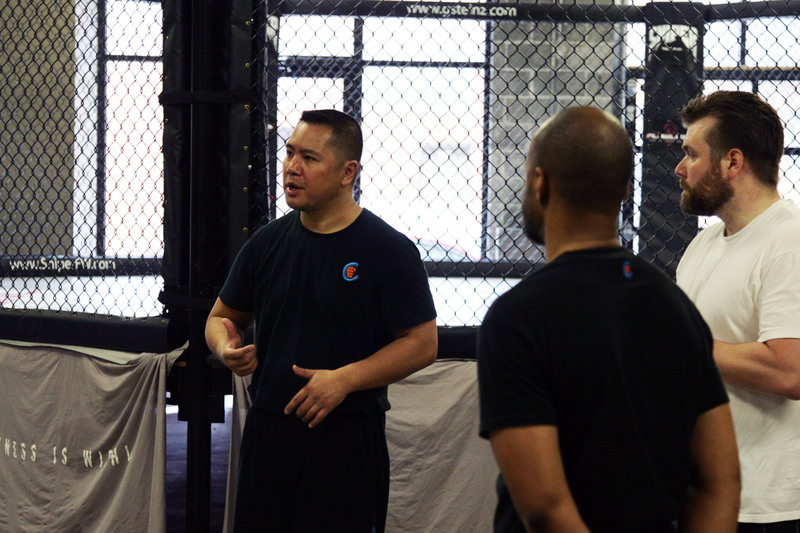 SiFu Ray ended the class by going through the theory of our WTK curriculum and how we implement it in within our WTK class structure. After the class, we gave each participant an evaluation form to fill out so that we can determine the level of satisfaction regarding the space, class length, physical challenge, variety of activities, content, clarity of instruction, time allotted for each activity, individual attention, pacing for your skill level and overall satisfaction. 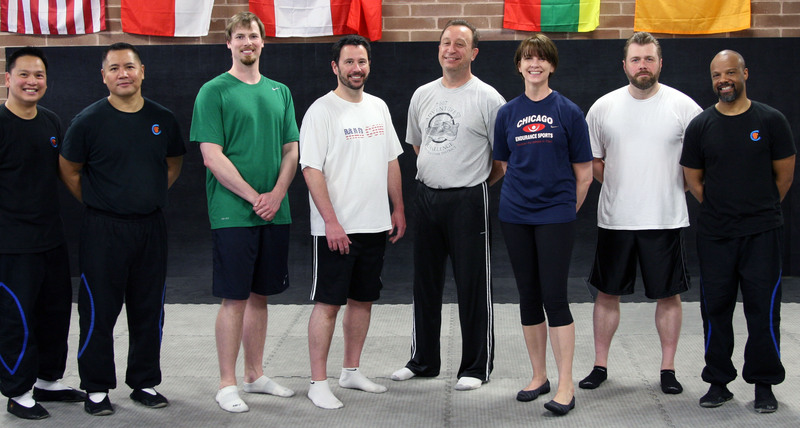 We would like to thank all of the participants (Alice, Jordan, Bill, Randy and Paul) of the Focus Group class for taking the time out of their busy schedule to support us in this endeavor. 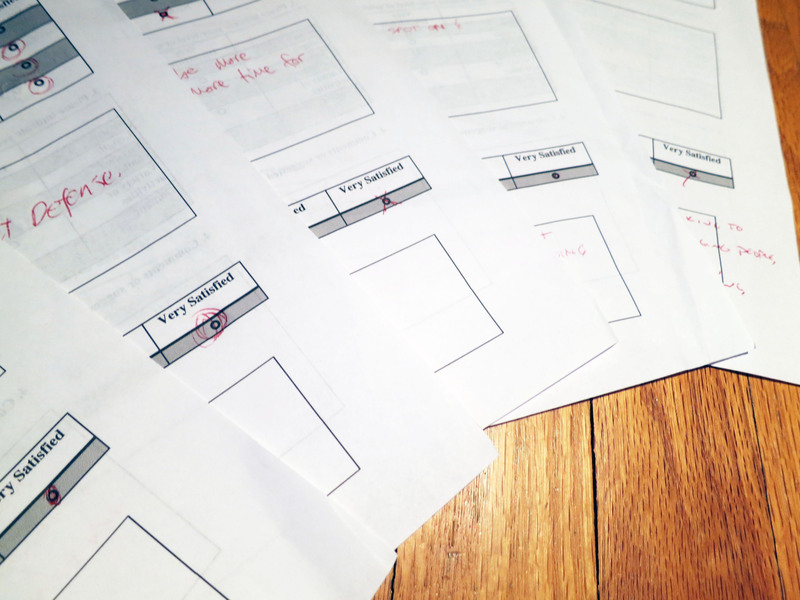 We really appreciated their honest feedback which will help us improve on our Wing Tsun Kwoon curriculum, class structure and instruction. 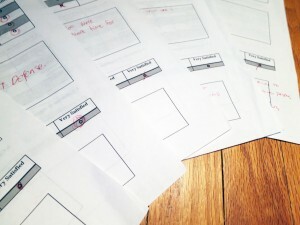 We have 4 weeks left until we have our first class! 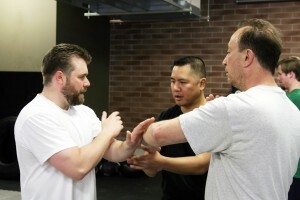 If you are interested in training with us, you can register for a Free 2-Week Trial and experience Wing Tsun Kwoon’s classes for yourself (https://wingtsunkwoon.zenplanner.com/zenplanner/portal/freeTrial.cfm). Please help us spread the word by linking this blog post on facebook and twitter, or directly emailing it to your family and friends. We hope to see you in class on 18Jun2013!